Kentucky officials last year shifted their economic development focus to foreign direct investment (FDI), especially from automotive manufacturing. They’re getting some traction, too, despite limited resources and strong competition by focusing on companies they believe fit the commonwealth’s conservative, small town business culture. Gov. Steve Beshear, flanked by company and local officials, announces that global cosmetics and hair care manufacturer L’Oréal USA will expand its operations in Northern Kentucky, investing $42 million and adding 211 jobs. Recently, that has often meant family-owned German auto sector suppliers whose roots are in Bavaria. The Japanese continue investing here, too. A wave of foreign manufacturers seeking dependable markets and growth is washing ashore in the United States, whose economy remains the most stable in the world. Foreign companies made 30 percent of the investments that Kentucky officials announced in 2011 and 35 percent in 2012, according to state Cabinet for Economic Development statistics. They were responsible for 23 percent and 24 percent of the state’s job growth the past two years, respectively, with 2013 looking just as good. And global investors have rediscovered the United States, according to a late-June Wall Street Journal article. For the first time since 2001, the United States ranks No. 1 in the annual K.T. Kearney FDI Confidence Index survey on expected investment spending worldwide. These foreign prospects have many suitors, but Kentucky officials are winning projects and even referring to the current environment as a perfect storm of elements coming together globally in their favor. 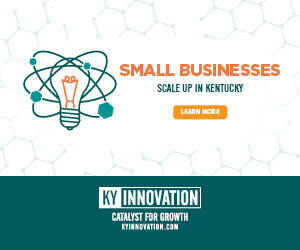 After focusing from 2008 through 2010 on preserving existing Kentucky operations and jobs during the especially deep recession – beefing up incentive programs to help companies invest to make themselves more competitive – Gov. Steve Beshear directed Cabinet for Economic Development officials to make foreign direct investment a top priority. Beshear has played an active role to help close deals. Beshear and Economic Development Secretary Larry Hayes have been to India three times. It resulted in a $180 million investment commitment by UFlex Ltd., which now has a specialty packaging materials manufacturing facility in operation in Elizabethtown. UFlex executives have arranged meetings for state and local officials to talk with dozens of other Indian business prospects. Mark Manning, president of Murray-Calloway Economic Development Corp., hosted a pair of new investment announcements by German companies late last year and early this year. Nifco America Corp. officials, along with Gov. 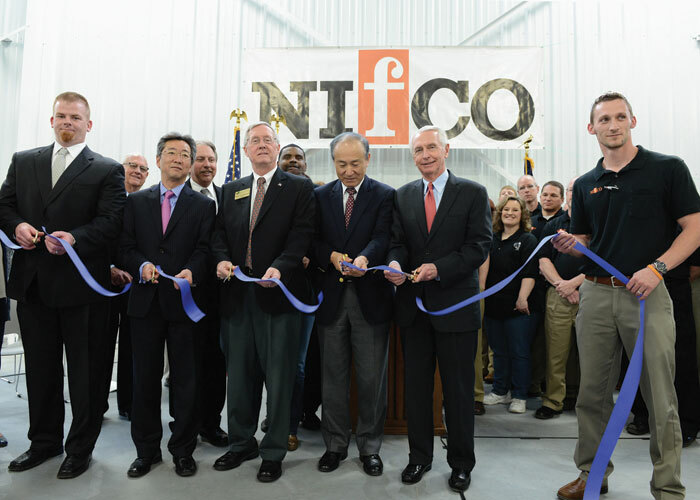 Steve Beshear, cut the ribbon on the Japanese-company’s expanded operations in Shelbyville. The automotive supplier has invested more than $4.3 million to purchase new, state-of-the-art injection molding equipment and has spent $3 million to add 73,000 s.f. 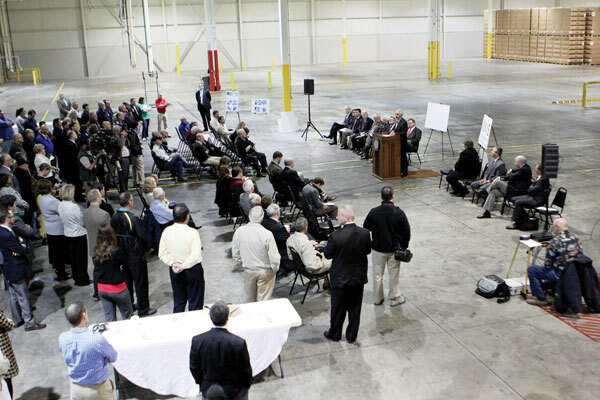 to its existing 115,000-square-foot facility, creating 100 new jobs. Most recently, Kentucky’s announcements have not been blockbusters, but economic development officials are very pleased nonetheless. They expect most of the facilities coming into the state to grow individually and together to create a cluster that will sustain itself and attract more members. German and Japanese companies tend to be conservative, said Dunnagin. They like to begin small, establish themselves in a market, then grow step by step rather than making big investment bets right off the bat. “The typical German small to medium size company, a thousand to 10,000 workers, those companies are most often located, and very comfortably located, in smaller communities” back at home, Hayes said. “They have a high degree of local ownership, oftentimes a family ownership that has a large position in that company. They are very rooted in place. The great advantage is – I’ve heard this from two of our companies now – they say if we choose Kentucky to locate our plant, we will grow at that place. They are not going to build another plant in another state. “They want to grow, and that’s their culture. You see in these smaller (German) towns these companies that have grown to be very large in a smaller community. So that portends good things I think for Kentucky,” Hayes said. The German prospects like to have a strong bond with local officials, he said, because they believe they will get help in dealing with problems that inevitably occur and believe such personal relationships are best built in smaller communities. Several of his peers in the far western Purchase region of Kentucky are in economic development negotiations with other European firms, he said, and more investment announcements are very likely there in the near future. Kentucky is home currently to about 425 foreign-owned companies from 30 nations, employing more than 80,000 people, according to the Cabinet for Economic Development. There are 156 Japanese-owned companies employing 37,000-plus and 178 European-owned companies that employ more than 26,000 in Kentucky. The state has nearly 100 more foreign-owned operations in 2013 than it did in 2003. Gov. Steve Beshear announces that German automotive supplier iwis is investing $12.5 million to open its first U.S. manufacturing operation in Murray. Employees at the facility will manufacture timing drive systems for engines, and the operation will start at the end of 2013 and will ramp up production in 2014. 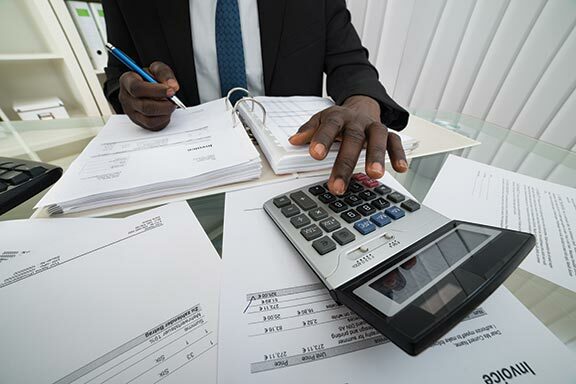 Employment growth among foreign-owned firms is 12 percent the past three years compared to 6 percent for all companies, according to the Cabinet for Economic Development. In April, Toyota announced plans to move production of the Lexus ES 350 from Japan to TMMK in Georgetown, a $531 million investment that comes with 750 new jobs. Next month, four-cylinder engine production is scheduled to surge there after a $30 million upgrade announced a year ago that also brings 80 jobs. General Motors and Ford are U.S. corporations, but they’ve made major Kentucky auto sector investments that explain why foreign suppliers are drawn to the U.S. market. GM has begun production of the 2014 Corvette in Bowling Green after a $130 million upgrade and expansion; a follow-on GM investment of $3.5 million and 20 jobs also moved Corvette engine production to Kentucky, something state officials had been pursuing for years. Ford is following up a $600 million investment that brought the addition of two new shifts and some 3,000 jobs at its Louisville Assembly Plant last year with a similar $600 million upgrade at its Kentucky Truck Plant. Since January 2010, more than 200 domestic and foreign motor-vehicle-related projects have been announced in Kentucky, representing more than 14,400 new jobs and nearly $3.5 billion in new investment, more than one-third of all new investment announced. Kentucky produced more than 1 million light vehicles in 2012, its most in five years, ranking the state fourth in vehicles made. So far in 2013, Kentucky ranks third in light vehicle production – on a per capita basis, the state ranks first. For the past generation, U.S. auto and truck production has been shifting from Michigan, Ohio and the upper Midwest to states in the South such as Alabama, Mississippi, South Carolina and Tennessee but also including Kentucky. Manufacturers use the efficient just-in-time supply chain model to provide components just before final assembly. The commonwealth is now at the center of today’s “auto alley,” within day’s-drive access to plants operated by BMW, Chrysler, Ford, GM, Honda, Hyundai, Mercedes, Toyota, Volkswagen and others. Logistics assets are elements of the “perfect storm” state officials like to cite. 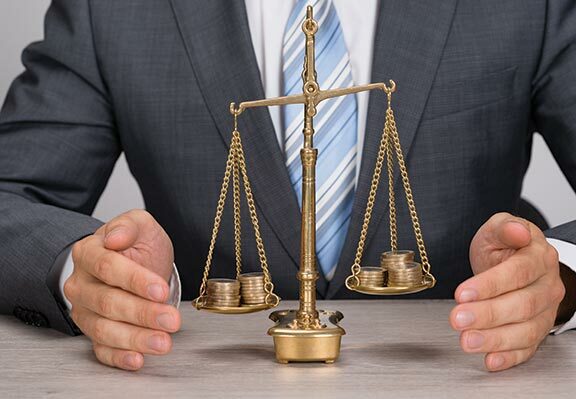 Currency weakness and fluctuations in Europe and Japan are pushing manufacturers here. So is a U.S. car market that is recovering faster and looking stronger long-term than others. Additionally, Japan’s March 2011 earthquake and tsunami broke some global supply chains and boosted the value of Kentucky’s geography. The state’s workforce skills and experience are assets in pursuing foreign automotive sector direct investment. Workforce issues have only grown in significance as the auto industry becomes more efficient since the 2009-10 recession, Hayes said. That’s the case even at Ford’s rebuilt Louisville Assembly Plant, which now has 1,000 reprogrammable robots that give it the capability to build up to six different models at once and to shift production from one vehicle to another in only a few weeks. Hence the strategy of attracting conservative companies who want to establish a relationship with local officials and grow in place long term, which is what state and local officials believe they are accomplishing in Murray and Calloway County. German timing chain maker iwis (pronounced EE-vis and written in lowercase letters), which has a new contract with GM and supplies most of the original equipment manufacturers, announced last November it is investing $12.5 and bringing 75 new, full-time jobs and more than $12.5 million in investment to Murray. Managing Director Johannes Winklhofer, whose great-grandfather founded the company in 1916, told the Murray Ledger & Times he hopes to be in operation by August at a 119,000-s.f. former Webasto facility. In January, Kemmerich USA said it will invest $12.2 million and establish not only a manufacturing operation but its U.S. headquarters in Calloway County with 120 full-time jobs. Manning, who has 25 years experience in economic development, said courting investment today is nearly the reverse of the process he saw originally, in which companies would decide where they needed to locate and approach a community. Thomas Bergen, CEO of Kemmerich, told the Ledger & Times that Kemmerich began its site selection process in January 2012 by issuing its requirements. More than 120 communities responded and 23 were invited in March to send representatives to Atlanta for a sort of “beauty contest.” Gov. Beshear visited Kemmerich GmbH officials while on a trip to Europe in July 2012. 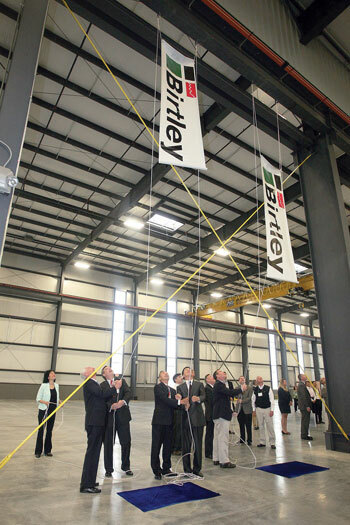 Birtley, Kentucky’s first Chinese-owned manufacturer, celebrates the grand opening of its new 67,500-s.f. facility at Blue Grass Business Park in Lexington. Additionally, in exchange for fulfilling investment and hiring commitments, the Kentucky Economic Development Finance Authority approved iwis for $2.5 million in tax forgiveness incentives and Kemmerich for $3 million in incentives. The site selection process for iwis also took about a year and began with help from the German American Chamber of Commerce, Winklhofer told the Murray newspaper. The company looked at sites in Ohio, Michigan, Indiana, Iowa, Illinois, South Carolina, Tennessee and Kentucky and contacted all the governors. Winklhofer said Beshear convinced company representatives to locate in Murray when he visited them during a summer 2012 trip to Europe. 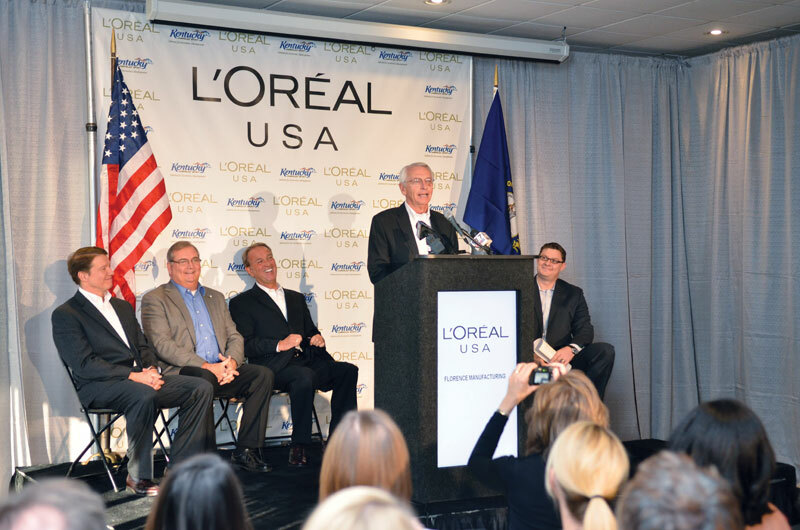 Beshear traveled to France also on the trip, which led to L’Oreal announcing a $42 million expansion in Boone County, adding 200 new jobs. Since bringing one of its global hubs back to Hebron at the Cincinnati-Northern Kentucky International Airport in 2009, German-based air freight shipper DHL Express has become virtually a FDI recruiting partner for the state. DHL has expanded three times already and would benefit if other businesses that ship to or from the U.S. market from abroad located facilities near its global hub at CVG. The state welcomes whatever FDI help it can get because Kentucky has only two foreign offices while other states have multiples. July 1 marked the second anniversary of Kentucky’s reopened European office. It is based in Hamburg, Germany, and headed by Finn Weisse, a German whose wife is from Kentucky. Kentucky’s longest-tenure and most successful foreign direct investment recruiter has retired after 28 years on the job in Japan. Jiro Hashimoto had a key role in bringing 150 companies and 38,000 jobs to the state. Hashimoto’s trophy case projects are Toyota Motor Corp., the $280 billion automaker whose North American headquarter and largest North American plant are in Kentucky, and Hitachi Automotive Systems Americas, a subsidiary of the $144 billion Japanese multinational with U.S headquarters and two plants in Kentucky. In 1983, Hashimoto left a 19-year career with Sumitomo, a large Japanese trading company, to begin recruiting businesses to Kentucky. Gov. John Y. Brown Jr. established the state’s first economic development office in Japan, with Hashimoto as the first employee. 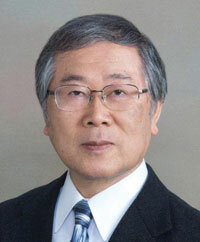 The Japanese considered Kentucky an agricultural state when he started in 1983, Hashimoto said. 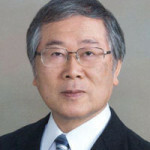 The 72-year-old Tokyo native left at the end of June after working with the administrations of seven governors. 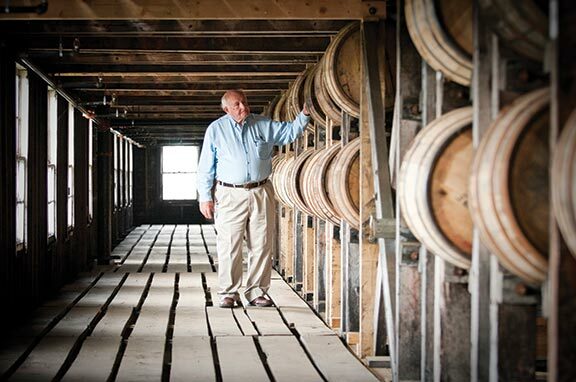 In 2010 he was inducted into the Kentucky Association for Economic Development Hall of Fame. The state maintains two international economic development offices – one in Tokyo and the other in Hamburg, Germany. Offices in Mexico City and Beijing that focused on export market development were closed in the past two years. There are 155 Japanese-owned facilities in the commonwealth – other states have more but Kentucky on a per capita basis ranks behind only Hawaii in Japanese investment. Germany ranks second with approximately 60 German-owned facilities across the state. The Cabinet for Economic Development has begun the search for a new representative to oversee Kentucky’s ongoing economic development efforts in Asia. “We have accomplished a great deal over these many years, and I am proud of the benefits that this partnership has brought to Kentucky and to Japan,” Hashimoto said. • 1974 – Mazak starts its U.S. machine tool operation in Florence. • 1983 (April 19) – Kentucky’s economic office in Japan opens. • 1984 (December) – Topy Industries announces its wheel plant in Frankfort. • 1985 (January) – Hitachi establishes Hitachi Automotive Products in Harrodsburg. • 1985 (December) – Toyota Motor announces its first U.S. manufacturing plant in Georgetown. • 1987 – Japan America Society of Kentucky formed. • 1996 – Sumikin Bussan/Kentucky Steel Center in Berea becomes the 100th Japanese-owned company in Kentucky. • 2005 – Kentucky participates in the World Expo in Aichi, Japan, and hosts “Kentucky Week” in May at the U.S. Pavilion. • 2013 – Kentucky’s Japan office marks its 30th anniversary.